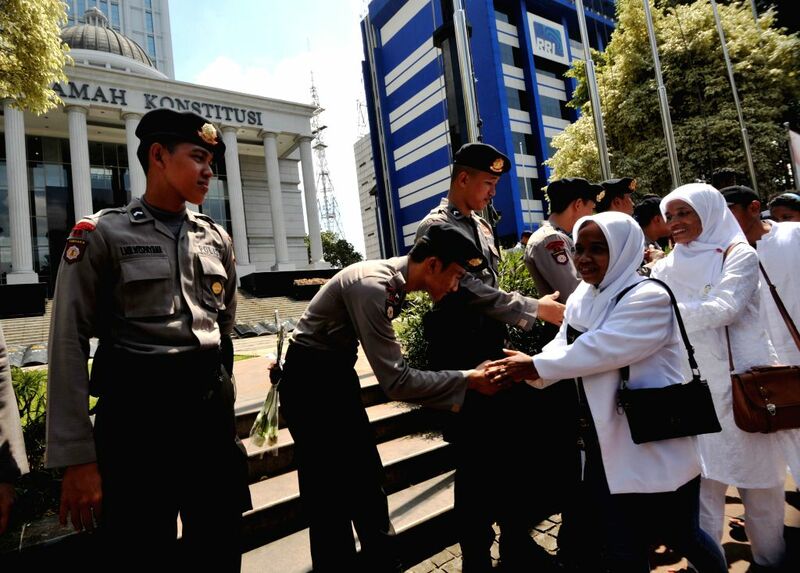 JAKARTA, Aug. 5, 2014 - People greet to Indonesian police officers while they are deployed to secure the Constitutional Court in Jakarta, Indonesia, Aug. 5, 2014. About 22,000 Indonesian police personnel are deployed in securing the Constitutional Court during the first trial session for the election-dispute case at the Constitutional Court on August 6, 2014. The defeated presidential candidate, Prabowo Subianto, has alleged mass cheating in the July 9 presidential election and has said he will challenge the result in the Constitutional Court. 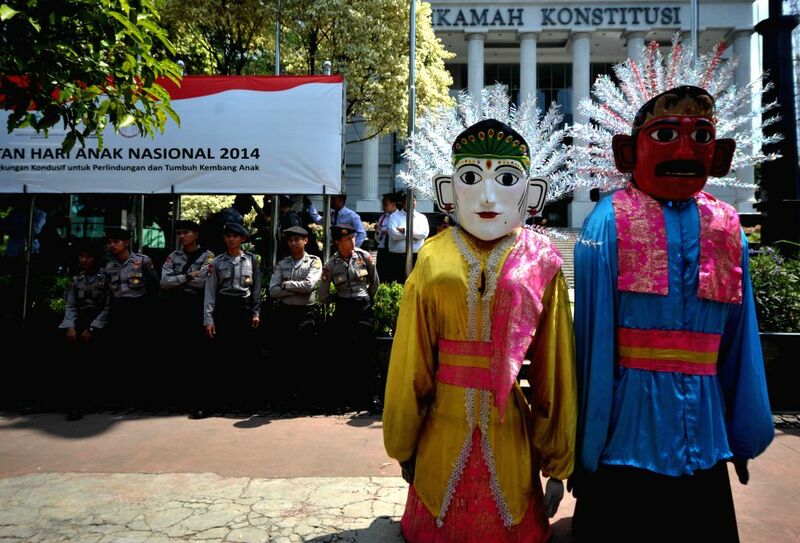 Two Ondel-Ondel giant puppets stand in front of Indonesian police officers while they are deployed to secure the Constitutional Court in Jakarta, Indonesia, Aug. 5, 2014.